Gear Action Anvil Loppers - Wise Center Precision Appliance Co., Ltd. Wise Center Precision Appliance Co., Ltd.’s team is second to none. With our extensive experience, we have successfully attained a remarkable position in the market. Furthermore, our knowledge, energy and passion ensure you achieve the best possible outcome for your customers. Our company is a well-known manufacturer of premium grade Gear Action Anvil Lopper in Taiwan. Loppers are designed for pruning twigs and tree branches. The types of blade head are between bypass and anvil. Anvil Style is usually used when pruning dead branches. The gear construction is an excellent tools for power saving. Dear Sir/Madam, I’m interested in Gear Action Anvil Lopper, 105013 that your company provides. Would you kindly contact me with your detailed product information and FOB price? Thanks. 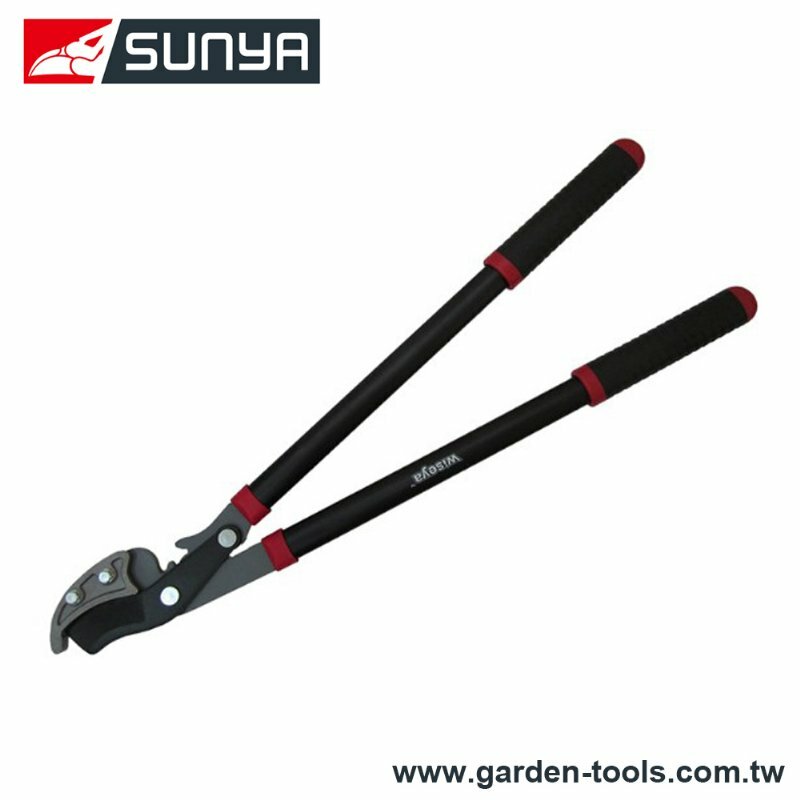 Our company is a professional manufacturer of Pruners, Garden Tool, Loppers, specializing in providing Gear Action Anvil Lopper with superior quality. To reach many people, our products must be of good quality and affordable. We design with our customers’ needs in mind. We are committed to understanding our customer's business to provide true commercial value in our operations.